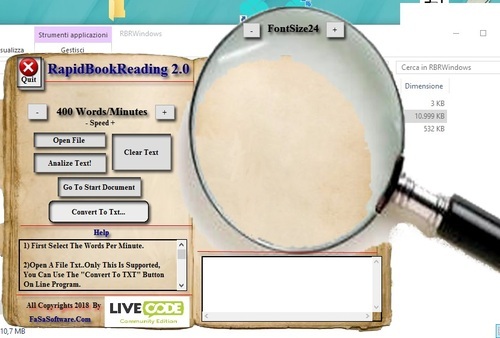 This Software is for Reading Fast A Document .TXT To Learn Or Read. Made WITH LIVECODE COMMUNITY .The source is inside the zip. Best regards, Lestroso.